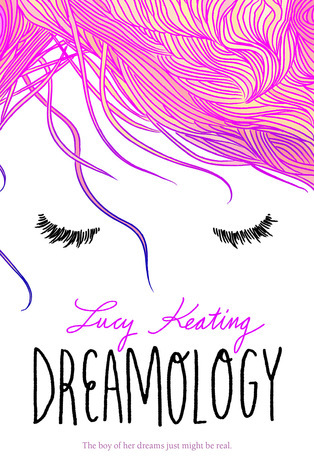 Brittany's Book Rambles: Dreamology by Lucy Keating ARC Review + Pre-Order Giveaway! Seriously guys, I was fangirling the ENTIRE time that I was reading this book. It was amazing, beautiful, hilarious, and relatable. It's a contemporary romance with a sci-fi twist that will make you want to read it over and over again. Once I picked it up, I couldn't put it down. The characters are fantastic, the writing is witty and funny, and the development of the plot is extremely well-executed. I highly recommend that ALL of you add this book to your TBR if you haven't done so already. Dreamology is already on my list of best books of 2016. 1) I love the romance in this book. Honestly, my heart went through so much while I was reading. With every flip of the page, my heart was just soaring on an emotional roller-coaster and it was FANTASTIC. The best part of the main couple's romance (and this is me trying really hard not to get spoilery here) is how much they struggle to figure things out and make their relationship work. Nothing about their affection for each other comes without a price and Keating lets you experience all of the ups and downs of their relationship—it's all swoon-worthy. 2) The writing—oh man the writing is just so great. From the prose to the dialogue, it's all phenomenal. Keating's writing style is the perfect amount of wit, sass, and whimsy. At the same time, the writing is very relatable and I found myself having similar thought processes as the main character. 3) I love ALL of the characters. Everyone is so well-rounded and well-developed. Besides the main couple, I adore Oliver and Sophie! These two need their own book . . . not that I'm hinting or anything . . .
4) The parental relationships are really diverse and interesting. Parents aren't often featured in YA books but I really thought they played interesting roles in Dreamology; Alice's relationship with her father was especially moving. 5) Dreamology gets bonus points for taking place in Boston with snippets in New York. I'm a very proud New Yorker and I looooove Boston. 1) Literally, nothing. I'll be reading this book over and over again. "You know when Egyptian royalty died, they often had loved ones buried with them," I say. "I think it was just servants actually, so they could be waited on in the afterlife," Max corrects me. Always such a know-it-all. "Well if I died, I'd have you buried with me." I turn over on my side to face him. "Oh, babe, thanks," he exclaims. "That is by far the creepiest thing you have ever said to me." "Okay, people!" We hear a familiar voice shout. Sophie and I peer around the corner and are mortified to find Oliver standing in the middle of the room, holding a beer. "You don't know me. My name is Oliver, and I don't go here. I won't tell you where I go because that would betray my age and I think there is a sixty percent chance of me kissing at least one girl at this party tonight . But you know how that's not going to happen?" He walks over to the stereo and plugs in his iPod, which he has pulled out of pocket. "If this party keeps going the way it's going. So that's all about to change right . . . now." He hits a button and cranks up the volume. Within seconds, the rhythmic synth of Prince's "Kiss" comes gyrating over the speakers, and it comes on loud. The whole room seems transfixed as Oliver begins to wiggle his shoulders to the music, complete with spins, pelvic thrusts, and lip-synching." "I can't help but feel that it's rather rude of Jerry to keep barking incessantly in the front hall when some of us have better things to do, like lie in our beds hating everything." You guys have no idea how hard it is to come up with quotes, but to leave out my big, spoilery favorites! I hope you guys enjoyed this review and add Dreamology to your TBRs. Trust me, you need this book. I was anticipating this book before but after seeing this review I'm going to go preorder it. It sounds AH-MAZING. IT IS AMAZING! EVERYONE NEEDS THIS BOOK. Yes, you need this book! I HIGHLY recommend it. I already have this added on Goodreads, but OMG! Your review just increased my excitement tremendously. When I saw those gifs at the beginning from The Notebook and Titanic, my heart fluttered a little bit. The romance sounds perfect. *flails* Great review!! YAY! I'm fangirling so hard for this book hence all of those gifs! I'm telling you the romance in Dreamology is phenomenal! The romance is just great..it's not cheesy (at least not for me), it's relatable..and it just feels so real. I loove Oliver. In general, all of the characters are awesome in this book. We always need more dreamy boys in books. AHHHH! I NEED THIS BOOK IN MY LIFE!!! I been waiting to see if i been approved for EVER! YES, YOU REALLY DO. EVERYONE NEEDS THIS BOOK. IT'S FANTASTIC. You crazy kid. A romance? But you sold me. So there. I'm adding it. *Brit rubs hands together "Bwahahahahaha! * I know your diabolical plan!! Oh this books sounds so adorable! I'm going to have to add it to my TBR because I like the whole romance with a dash of sci-fi or fantasy thing, and the struggle between the characters sounds interesting! It's really interesting. I read this a couple weeks ago and I'm still fangirling over it! I highly recommend it! I absolutely love the sound of this book, especially the swoonworthy romance. The premise look amazing as well, and I'm really enjoying the excerpts you've listed. Fantastic review!! Oh girl, you will LOVE this book! There is so many other excerpts I wish I could have added but they were too spoilery. You need to read this so we can talk bout it! You are seriously selling me on this book. A loveable, swoonworthy romance, I am so there. Plus the dreams....now I really want to read this book! YAY! I'm so glad that I've sold you on this book. Honestly, it's just amazing. I can not get enough of it, and I keep it around me all of the time now because it's just so beautiful. This sounds so good, I'm excited about it! You have been talking non-stop about this book lol. I could use a really good swoon worthy romance! I can't stop talking about it because I love it sooooo much. This is the swoon worthy romance you're looking for, trust me! This book sounds SO, so good! I had NO idea that it was such a love story! I am absolutely going to need to read this one, because the characters sound fabulous, the story sounds fabulous... I didn't request it, but now I kind of want to. Or need to, perhaps ;) Fabulous review! YESSS you need this book! It's jut amazing, plain and simple. 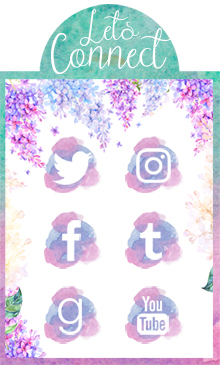 The concept is really unique and so well executed! Thanks for the give away! I want to read this book! Honestly, I'm in love with this book. It's barely left my side. You need to read it so we can fangirl! So is it bad to say that you're gifs about the romance is all I need to desperately want this book????? OMG! I want to win! This book looks like it will be good! Such a unique concept, too. The concept is extremely unique and well-executed and it's just perfection! Oh, I love the cover.. so pretty. Glad you love it and the review makes me more excited to grab this one next year. Hope to win. Thank you!